Yup you've guessed it of course there have been a few *coughs* purchases this month, for someone who is very strong willed when I want to be fashion seems to be my weak point! So let's jump straight in & tear that plaster off quickly. 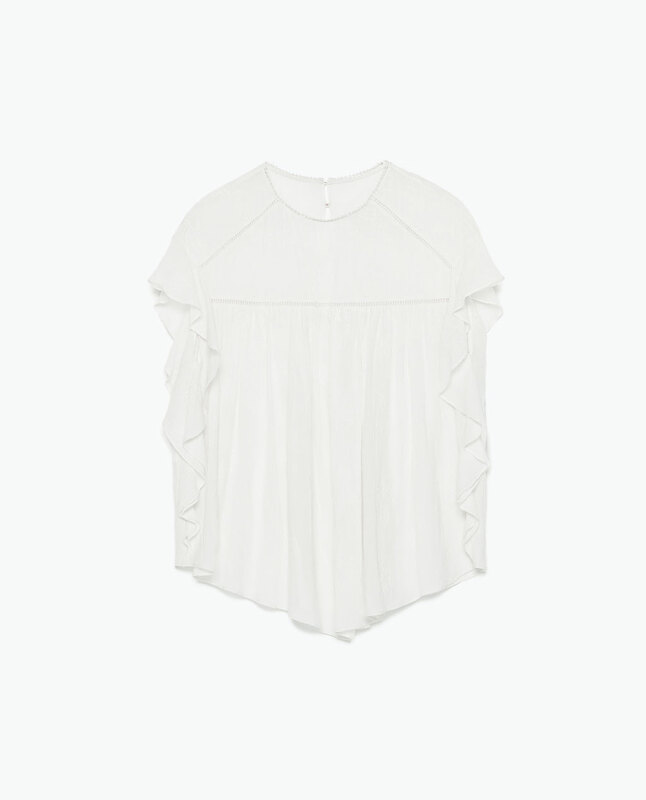 I seem to have fallen for pretty white/off white tops this season, which are perfect for dressing up or down & in my defence something my wardrobe was lacking! This first top I just love the idea of teaming with distressed boyfriend jeans & lots of layered gold chains. And I just couldn't resist this one from Zara. 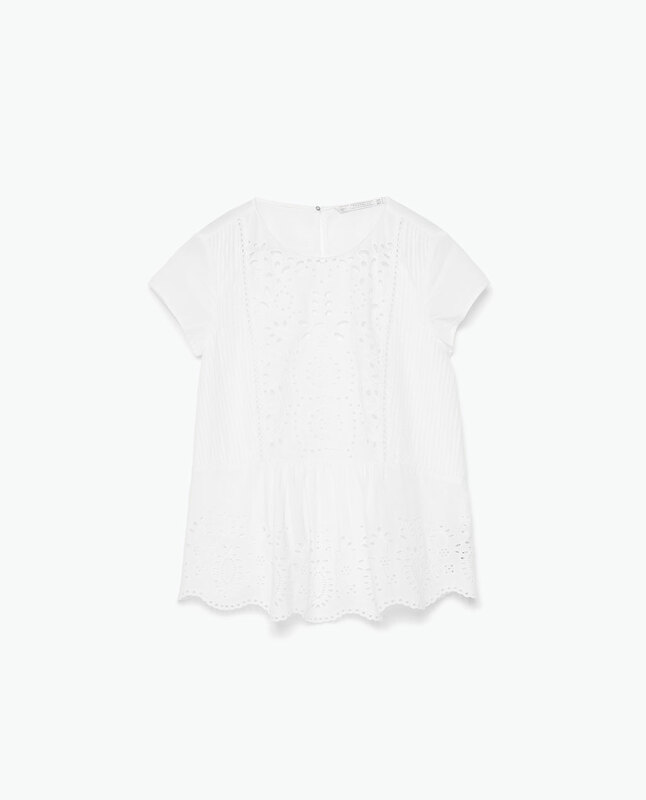 Or this one from Boden, which was made a lot cheaper with a voucher & discount code :-) I think it's safe to say I've got the pretty white top look covered from all angles now with these purchases! Next up a cheeky purchase in a colour I seem to be coveting this season & having loved the Wallis jogger style khaki trousers I wore for my photoshoot I was gutted when I discovered that they'd sold out of my size. Luckily these Warehouse ones are a great alternative, plus they're also available in black & navy if you're on the lookout for a smart jogger. Now we all know I love wearing flat shoes & have found my Office pointed black lace ups extremely useful so when I spied these, which are also from Office it was a total no brainer. They really do take a normal everyday outfit up a notch or two. And with denim being a huge trend this year & seeing as my one & only denim skirt is now too short to be worn outside of the garden & home I decided to invest in this one from Zara. The denim is unbelievably soft & whilst it's called a mini skirt it's the perfect length - not too short but not too long to feel mumsy either. Of course all the lovely sunshine in April got me thinking of summer holidays & having spotted this next item online I ordered it in both colours on the off chance that the material wouldn't be too thin & they looked as gorgeous in the flesh as they did in the pictures. Luckily they didn't disappoint & are going to be perfect for throwing over my swimwear to go down to the pool when we go away in the summer & the price is very reasonable too! 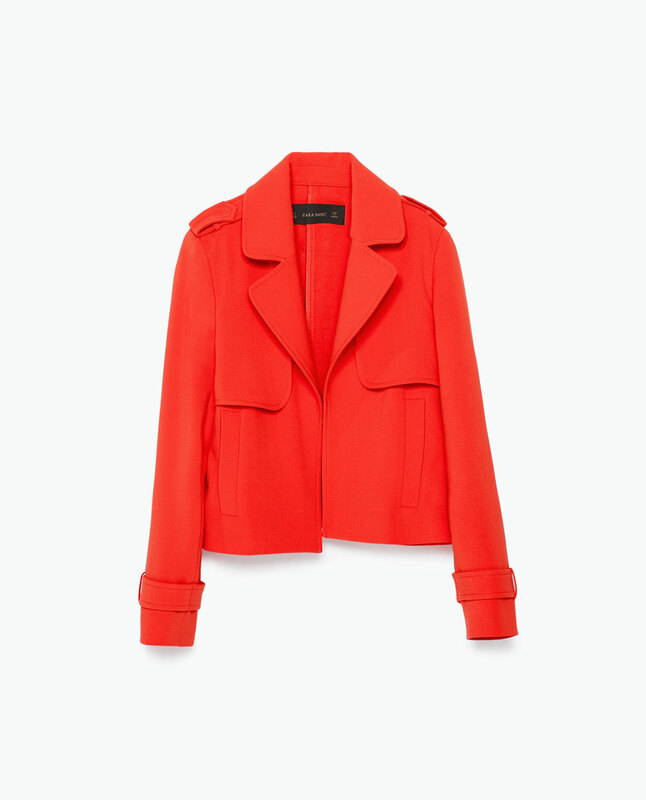 Of course it wouldn't be a monthly confession without a new jacket purchase would it & this one from Zara just happened to find it's way home with me. I love the colour & style, something a bit different to all the blazers in my wardrobe & reminds me of a cropped mac. 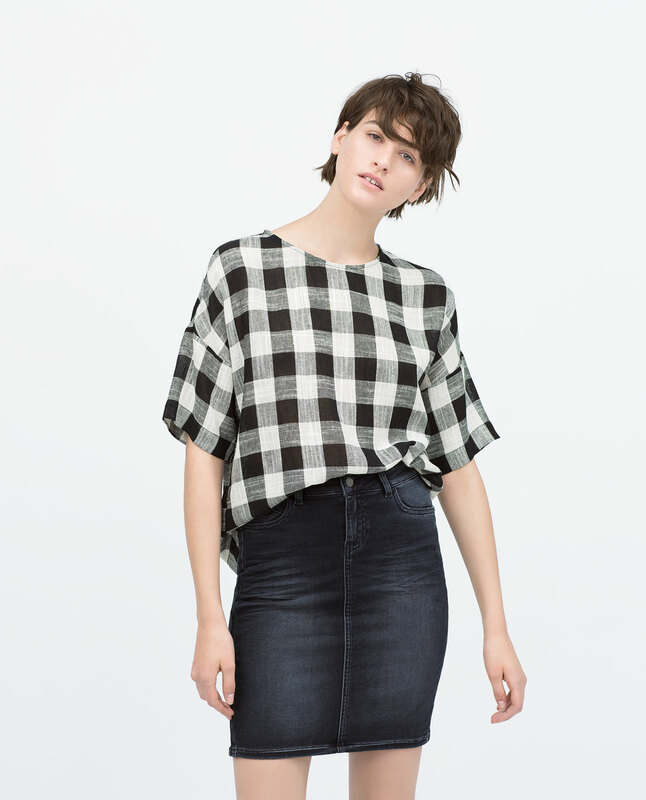 Now I already own this top in black & love it so much that when I saw they now stocked it in red it was a total no brainer....in fact they now stock it in white so what's the betting that I click the button over the next few days on that?! It really is a lovely top & has a great neckline. Moving swiftly on to what I'm wearing today. After a busy day yesterday I'm keeping it nice & simples for a quiet one at home. So come on please tell me I'm not the only whose been adding to their summer wardrobes?!! I'm blaming the sunshine oh & the fact I've had a major clear out of the wardrobe.......how about you, what's your reason *excuse*?!! Right I'm off for some serious & well needed sofa surfing plus I'm looking forward to watching Nashville & Episodes which both re-started this week - two of my favourite programs I've been dying to watch all week - a couple of hours of precious me time before our Sunday ritual of watching a film or two before the madness of a new week. Have a lovely day & if you've got any shopping to do at Debenhams don't forget there's 10% off if you spend over £40 see here & use code MF26 at checkout. 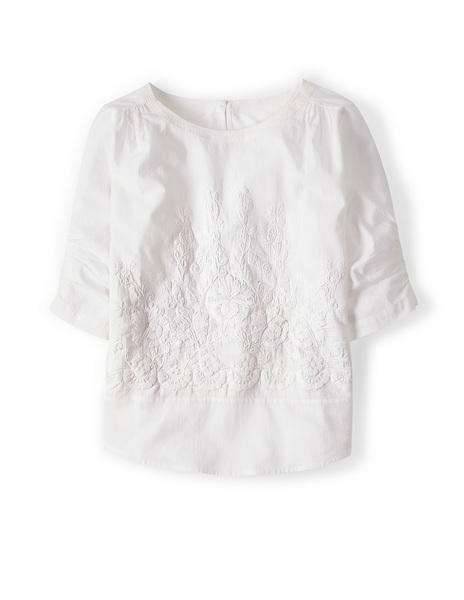 I love white boho style tops but I have to be very careful of the style due to my shape. I do however, love the New Look kaftan one! 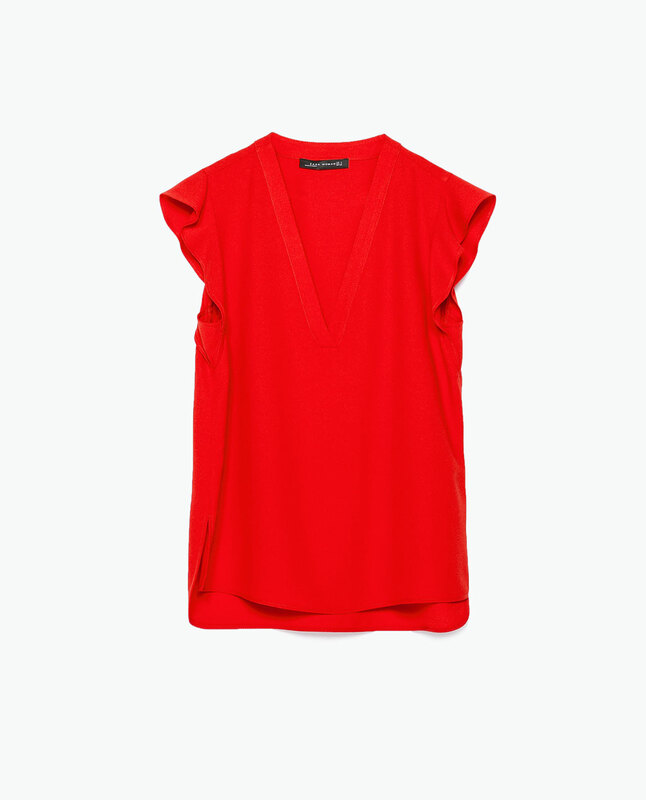 The red Zara top is also lovely. I'm delighted with the New Look kaftans Sarah & really great buys for the money. Me too Lynne so useful & of course they go with everything don't they?! Can't wait to see what makes you cave on your imposed spending ban Michelle & the New Look kaftans are fantastic aren't they. Thanks Jane, I've already found them really useful & they're so comfy too! Yup you're right Helen white tops look so pretty against denim don't they. Great minds with the New Look kaftans, they really are stunning aren't & even nicer than I'd dared hoped! Lol Andrea, cream tops are just as pretty as white!